There are also international connections with other international locations such as 🇺🇸 United States , 🇨🇦 Canada , or 🇷🇺 Russia with daily connection flights mostly through either Madrid (MAD) or Barcelona (BCN). The airlines flying to OVD are Air Europa, Air Nostrum, EasyJet, Iberia, Iberia Express, TAP Portugal, Volotea and Vueling . More detailed information on this airport is provided by AENA, the public company that manages Spanish airports and air navigation. • Take a taxi/cab at the taxi stand outside the airport. • Take the airport transfer at the airport bus stop from bus company Alsa to the main cities: Aviles, Gijon and Oviedo. • Rent a car with companies such as Avis, Europcar, Goldcar or OK Rent A Car. The car rental booths at Asturias Airport are located at the arrivals hall. The bus company Alsa operates to different destinations from and to Gijon including Madrid-Barajas International Airport. Check out their web page for further information. The Bus Station at Gijon is located at Ribadesella, 5, 33207 Gijon. 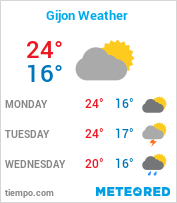 There are currently no ferry lines to the Port of Gijon. GLD Atlantique used to service the route Gijon-St. Nazaire (France) with the Norman Asturias. Brittany Ferries offers routes from Cork (Ireland) and Portsmouth (England) to Santander (approximately 170 kilometers from Gijon). Some cruise companies include Gijon during their voyages such as Royal Caribbean and Oceania Cruises. They are usually coming from either Bilbao or Coruña in Spain, Southhampton (England) or Le Havre (France). If you are sailing with your own boat, Puerto Deportivo Gijon offers the possibility to rent a berth at the Gijon Marina. It includes mooring, minimun consumption of water and electricity, toilet and shower access, and garbage collection service. For more information and requests, please visit their web page. Renfe operates the trains to and from Gijon. Please visit their web page for further information on time schedules and tickets. The train station is located at Sanz Crespo, 33207 Gijon. Furthermore, you will find many taxi stands through the city. 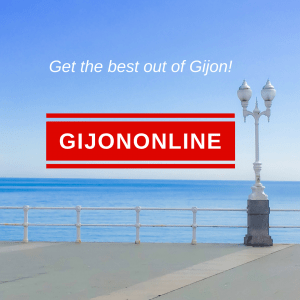 There is no Uber service in Gijon.